Same spiel as before. The spoilers here are arguably even worse than the first post. Again, DO NOT LOOK IF YOU HAVE NOT COMPLETED THE GAME. Two of the pictures are major spoilers. Igor informs MC that it is necessary to forge bonds with others in order to achieve rehabilitation. Igor himself is no exception. Rank 2: No One Else Can See It? Igor gives MC a lesson on persona fusion. While this is going on, his friends just see him as standing still. On the night after Kamoshida’s change of heart, Igor tells MC that rehabilitation means building up the strength to oppose the inevitable destruction that is coming. Rank 4: Who Is the “Black Mask”? Igor gives MC his blessings after Madarame’s palace is destroyed. However, it would appear that he also does not know who the black masked person is. On the night of Yuusuke’s welcoming party, Igor expresses interest in MC’s “bonds” with his friends. Building relationships with fellow rebellious minds is another step towards rehabilitation. 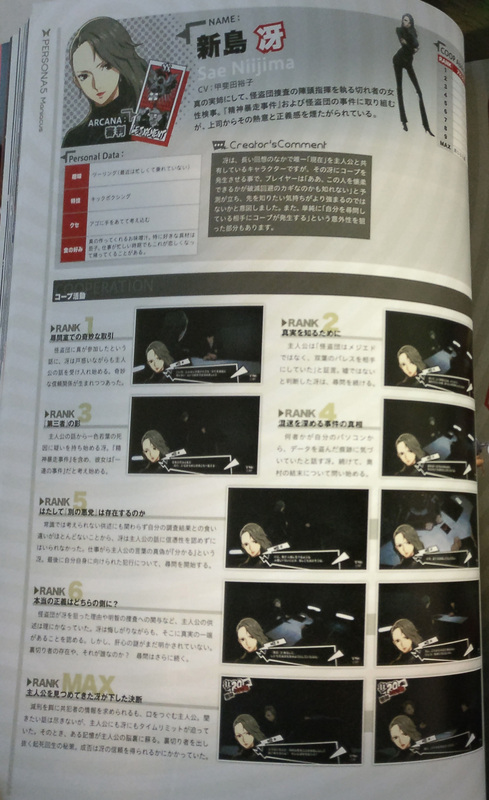 After Kaneshiro’s palace, Igor mentions the “other ability-user” that Kaneshiro was talking about. He is looking forward to MC’s confrontation. The night after successfully taking care of Medjed, Igor praises MC for saving Futaba from the ghost of her past. He speaks vaguely about the identity of the “malicious person” making use of Isshiki Wakaba’s research, but as promised, he will continue to support you. On the night after MC, Soujirou, and Futaba go to the expensive sushi restaurant, Igor expresses joy at MC’s new bond. 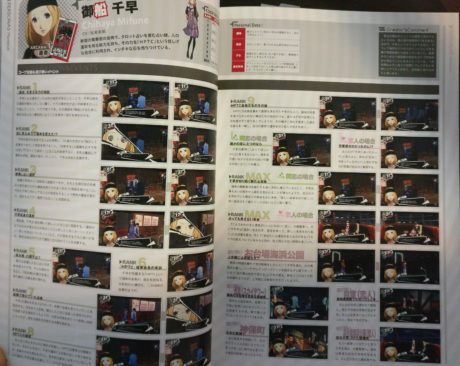 He finds Futaba’s persona’s ability to be very unique, and approves because it will bring the Phantom Thieves to greater heights. Rank 9: My Rehabilitation Will Fail? The night after Okumura’s shocking incapacitation is broadcast, Igor seems to be amused by this unforeseen situation. Instead of giving advice, he just wants to watch and see how MC overcomes this predicament. Igor’s true form appears, calling himself the God of Control. He proclaims that all of this was just a “game” for him to decide humanity’s fate, and he came to the conclusion that humanity should be brought to ruin. However, he praises MC’s accomplishments once again, and offers him a deal. 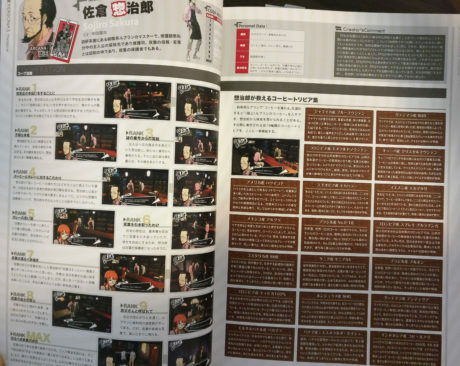 Apart from curry and coffee he also likes bitter foods like oysters and wild plants, but since he’s considerate of Futaba’s tastes, they rarely appear on the dinner table. One day, Soujirou pulls MC aside to ask how school is going. While he is warning him again to not get into any trouble, he receives a phone call from someone. He’s a busy guy, so they strike a deal where in exchange for helping out at the shop, he’ll teach MC how to make coffee. While Soujirou is teaching MC how to serve the customers, a middle-aged man shows up at the store. Soujirou grimaces when he sees his face. Soujirou is teaching MC how to grind the coffee beans when he receives a call from an unknown number. His mood immediately dampens after picking up, and he leaves the store. In the middle of Soujirou’s lesson on how to brew delicious coffee, the middle-aged man from last time shows up at the store again. He’s apparently an old acquaintance of Soujirou’s, who often comes to ask for money. He seems to be Futaba’s blood relative, but Soujirou won’t say anything more than that. Soujirou is elated that Futaba came over for curry. The recipe for this curry is from back when Futaba’s mother improved on Soujirou’s recipe. The middle-aged man originally took custody of Futaba so that he could claim child support, but Soujirou became her legal guardian so that the girl could be free. Futaba’s uncle has Soujirou worrying about whether Futaba should be living in a better environment, but Futaba misunderstands and thinks he wants to kick her out. However, they talk it out together and realize their misunderstandings. The two share a true bond of parent and child. MC gets into a “fight” with Futaba’s uncle, who then threatens to sue Leblanc. In order to fix this situation, Futaba asks MC to help her change her uncle’s heart. The change of heart is just a bit too late, and the court investigators arrive at Leblanc. However, Futaba’s honest feelings clear up all suspicions. The trio go to the church to visit the grave of Futaba’s mother, Wakaba. There, Soujirou tells MC that he considers him a member of his family that he will protect, and that he will teach him anything he can. He has complicated feelings regarding possibly being called “father-in-law” in the future, though. Jamaican Blue Mountain: Jamaica is a very suitable country for cultivating coffee beans, because of its abundant rainfall, varying temperatures, and well-drained soil. Blue Mountain is a popular brand, named after the mountain where it is grown. The beans must pass a strict inspection, and produce a rich, aromatic coffee. Guatemalan SHB: Guatemala is an extremely suitable country for coffee cultivating because of its rich soil produced by volcanic activity. Its beans are ranked based on the elevation of the growing site. SHB is the highest grade, grown at 1300m or more above sea level. It is known for its exquisite aroma, acidity, richness, and mild taste. Colombian Emerald Mountain: Approximately half of Colombia is covered in mountains, so in order to maximize productivity, coffee beans are cultivated on the steep mountain slopes. The name Emerald Mountain is named after the emerald gemstone. It is well balanced in acidity, bitterness, and sweetness, and has a distinct richness and mild taste. Cuban Crystal Mountain: Cuba is a large island in the Caribbean Sea, south of Florida. It is suitable for cultivating coffee beans, and produces high quality beans with a mellow fragrance and taste. The name Crystal Mountain comes from the mountains the beans are grown on, where crystals were excavated from. It represents the highest grade beans, carefully selected by largeness. They are known for their mild, balanced taste. Hawaiian Kona: A famous souvenir from Hawaii, Kona coffee. Production volume is low, so it is permitted to sell it as a Kona blend containing 10% Kona coffee. 100% Kona coffee is very expensive. It has a citric, fruity acidity, a mellow aroma, and a smooth texture. Ethiopian Mocha Harrar: The famous “Mocha” is the name of a port city in Yemen. It was a bustling marketplace for coffee, and the coffee exported from there was called mocha. They exported coffee that was cultivated in Yemen as well as coffee from Ethiopia on the other side of the shore, which was called Mocha Harrar. It is very rich with moderate acidity and the characteristic mocha flavour. Mocha Mattari: The famous “Mocha” is the name of a port city in Yemen. It was a bustling marketplace for coffee, and the coffee exported from there was called mocha. They exported coffee that was cultivated in Ethiopia as well as coffee from Yemen, which was called Mocha Mattari. It has a strong mocha aroma as well as moderate acidity and aftertaste. Mexican Altura: Mexico has a prosperous history, with advanced civilizations such as the Mayans. It is said that coffee was brought there by the Spaniards during the colonial era. The word Altura means “heights”, and represents the highest grade of coffee based on altitude. It is known for its sweet fragrance and gentle acidity. Brazilian No.2/18: Brazil is the world’s largest producer of coffee. It has many high quality beans with a good balance between acidity and bitterness. No. 2/18 is one of their popular grades. No.2 is the highest classification, while 18 represents the size of the bean. It is an aromatic coffee with a soft richness. Colombian Supremo Bucaramanga: Approximately half of Colombia is covered in mountains, so in order to maximize productivity, coffee beans are cultivated on the steep mountain slopes. “Supremo” indicates that the beans are above a certain size, and Bucaramanga is the place where they are cultivated. The coffee is aromatic, with a mellow taste, moderate richness, and mild acidity. Costa Rican SHB: Costa Rica is a rich land with a lot of diversity in its flora and fauna. Coffee was brought there from Cuba in the past. SHB is the highest altitude rank for coffee beans. It has a refined aftertaste, distinct acidity, and sweet aroma. Kenyan Kenya AA: Kenya is a country with many wild animals and nature conservation sites. Its plantations are well managed and produce high quality products, which are recognized as first-rate in Europe. Kenya AA is cultivated at a high altitude in midwest Kenya, and the “AA” denotes the highest grade. It has a rich aroma and moderate acidity. Brazilian Bourbon: Brazil is the world’s largest producer of coffee. It has many high quality beans with a good balance between acidity and bitterness. Bourbon has a very low harvest volume, so even in Brazil it is a rare coffee. It is known for its mild sweetness and refreshing aftertaste. Colombian Typica 100%: Approximately half of Colombia is covered in mountains, so in order to maximize productivity, coffee beans are cultivated on the steep mountain slopes. Typica 100% is coffee that is made from 100% typica varieties. The cultivation requires considerable labour, so it is currently a rare product. It has a refreshing citricness, and exquisite aroma and acidity. Honduran SHG: Honduras is a representative coffee producer of Central and South America. 30% of the country is made up of mountains and plateaus (TL note: Wikipedia says 80% so idk). Coffee grades are determined based on elevation. SHG is the highest grade, grown at 1200m or more above sea level. It has a mellow fragrance, sweet acidity, and firm richness. Guatemalan Antigua: Guatemala is an extremely suitable country for coffee cultivating because of its rich soil produced by volcanic activity. Its beans are ranked based on the elevation of the growing site. Antigua is grown in volcanic soil that is rich in minerals. It has a mild acidity and distinct aftertaste. El Salvadoran Pacamara: El Salvador is the smallest country in Central America, and coffee makes up about half of its exports. Pacamara is the country’s unique crossbreed. The beans are very large, and production volume is low, so it is a rare variety. It has a fruity aroma, refreshing acidity, and faint bitterness, resulting in a well-rounded flavour. Panamanian Esmeralda Geisha: This elusive product received record bids in Panama’s international auctions, and is believed to have originated from Ethiopia. It is difficult to cultivate and requires much time and labour, making it one of the most difficult popular varieties to procure. It is known for its floral aroma and extremely distinct acidity and sweetness. Indonesian Kopi Luwak: This is produced by collecting undigested coffee beans from the excrements of civet cats, washing them, and drying them. Kopi is the Indonesian word for “coffee” and Luwak is the local name for the Asian palm civet. It is said that the enzymes in the civet’s intestines add a unique aroma to the coffee beans. It is a rich, aromatic coffee. Due to its rarity, it is extremely expensive. Ethnic food like green curry. When she first tried it after coming to Tokyo, she was surprised that it tasted like herbs, but now she’s totally in love with it. A girl is fated for misfortune, but MC triggers a change of heart in her boyfriend. Chihaya is shocked that the girl’s future has changed. She feels bewildered that an ordinary high school kid was able to turn her fate around. In order to verify that he really was the cause, she strikes a deal with him where his fortune readings will be prioritized. Rank 2: An Invisible Force Changed the Future!? MC sits with Chihaya at her booth, under the pretense of her apprentice. An OL asks them if she should leave her company and start her own business. Chihaya determines that her business will fail, but MC suggests that she turn her fate around, which motivates the woman and changes her fortune for the better. Chihaya is upset that her fate was changed. An indecisive man asks the two whether he should marry his childhood friend or accept the arranged marriage proposal from the director of a client company. Once again, MC follows up after Chihaya’s reading and encourages the man, whose fate then changes as well. Chihaya finally acknowledges that it’s not a coincidence. After closing up shop, Chihaya says she wants to tell MC something. She talks about how she has the power to see the future, and how when she came to Tokyo, she looked to the holy stones for help. As they talk, her worries fade, and she gains the resolve to face her fate in her own way. With her newfound determination, Chihaya changes the way she does her fortune reading. A man named Yokoda comes by to check on how the “Maiden” is doing. The chairman of HPTC, the organization that Chihaya is affiliated with, pays her a visit. Yokoda who visited last time was also part of this organization. Chihaya confesses that she was persecuted in her hometown because of her ability to see the future. After she left home and came to Tokyo, while heartbroken she met Fukurai, HPTC’s chairman. Until now she’d been participating in their scam despite knowing the truth, but now she is determined to call him out on it. After his heart is changed, Fukurai gives himself up and the HPTC is disbanded. Accordingly, Chihaya’s fortune also shows signs of changing for the better, but most of the organization members are in disarray, so her problem is not fully resolved yet. After Chihaya gathers the HPTC members to apologize to them all, she is confronted by Yokoda and the other members who cannot accept Fukurai’s confession. They refuse to listen to her reasoning, but Chihaya rebukes them out of exasperation, and preaches to them the importance of making your own future. When MC answers Chihaya’s question with “Because I want my fortune read”, Chihaya looks troubled but is also happy that her fortune telling was of use to someone. As Lovers: Even Though She Had No Luck with Romance!? When MC answers with “Because I wanted to see you”, Chihaya is so shaken that she reverts back to her hometown dialect. After the Fukurai scandal has settled down, the other members seem to be moving on well. Chihaya herself is also getting more appreciation from her clients. She decides to reunite with her close friend that was afraid of her powers, and in order to open up a new future for herself, she vows that she won’t waver again. The two head to the ferris wheel because the fortune reading said they would have good luck if they went out together. Chihaya talks about her determination to not get caught up by fate, to have faith and conviction, and to open up a new future for herself. She also says sweetly that MC has the power to change fate, so she will follow him from now on. Hanging Out (Odaiba): A Staple for Those New to the City? Chihaya wants a change of pace from the busy city, so the two go to the Seaside Park in Odaiba. As they sit on a bench and look at the Rainbow Bridge, Chihaya mentions that that bridge can be crossed on foot. It’s apparently common knowledge for locals, but a must-know for newcomers. Looking down at the city from high above, Chihaya gets the impression that the organization members were trapped in a narrow world. On the way out, MC receives a Sky Tower lamp. Chihaya peruses the self-improvement books, hoping to be able to provide good advice to people. They find a shop dedicated to fortune telling, and she leaves extremely satisfied. Chihaya is flustered when MC invites her to his room, and accidentally reverts to her hometown dialect. She confesses that she is glad she fell in love with him. Chihaya wants to ride the ferris wheel again, so they go. She expresses her honest feelings, with a bit of a spoiled look on her face. MC earns the twins’ approval after successfully using the “prison facilities” to bring them the requested persona. A strange pact is made between warden and prisoner. The twins are surprised when MC easily completes their assignment. However, it is his “duty” to succeed, so they present him with the next task. The conversation unexpectedly shifts to the twins questioning who the author of the task list is. Neither of them know when they obtained it. The twins realize that only someone with the Wildcard ability could possibly complete the tasks on this list. The two decide to get serious about MC’s rehabilitation. Caroline recognizes the handwriting on the list from somewhere. The twins believe that they’ll find out the truth behind their deja vu if the list is completed. The twins feel nostalgic about watching someone’s personal growth. At some point they’d started to enjoy assigning tasks. Full of doubts, Justine comes up with a hypothesis. Is it only the prisoner who has something awakening in him from their exchanges? Caroline is shook by her theory, and both twins look to MC for their “answer”. As the twins assign their prisoner tasks, something in their consciousness is changing. Could it be that the list’s goal is not to change the prisoner, but to change themselves? Caroline can’t hold back her suspicions, and hears a mysterious voice in her head. They are getting closer to finding out the truth behind the list. The arcana is a journey starting from the Fool, who goes through various experiences, overcomes Death, and obtains the World. Caroline speaks about this story of life that she heard from someone, and says that she realized who the voice in her head was. She says that she has high hopes for MC, and to stay alive until he finds the “answer”. Justine praises MC for completing all of the assignments. Both of the twins have figured out who the author of the list is. MC has earned their admiration and trust, and they inform him that they are waiting for him to discover the truth. Inside the paper bag that Iwai left MC with is an elaborate custom-made gun. MC negotiates with Iwai to see his other goods, and they strike a deal where in exchange for helping him with his work, he’ll give MC access to the special menu. Iwai’s first job for MC is to listen in on a delinquent-looking man’s conversation. He seems to be an acquaintance of Iwai, who is using him to find a man named Tsuda. Iwai is satisfied with the results, and their bond grows a bit deeper. Iwai explains to MC that he used to be in the yakuza, Tsuda was his sworn brother, and now he’s losing customers because Tsuda is spreading false rumours about him on the internet. After he’s finished explaining the gist of the situation, his son shows up at the store. His name is “Kaoru”. At Iwai’s request, MC asks a homeless man about “underworld dealings”, and obtains information regarding the Hong Kong mafia. He goes straight back to report his findings to Iwai, but Tsuda is at the store. He seems to be threatening Iwai into some kind of deal, and involving Kaoru as well. After MC’s shift, Iwai calls him to the back room where he tells him about Kaoru’s upbringing and the reason why he left the yakuza. Iwai himself was not blessed with a real family, so he hid his past from Kaoru in order to let the boy live a normal life. However, because he wants to keep his secret, he cannot refuse Tsuda’s deal. Iwai is busy with work, so he asks MC to take Kaoru to a family restaurant in his stead. Kaoru doesn’t know the details of what’s going on, but he’s aware that Iwai is walking on thin ice. MC hears from Kaoru the white lies that Iwai told him, as well as the story behind the gecko tattoo on his neck. Iwai calls MC to the back of the shop to tell him that he’s found Tsuda’s weakness. He brings MC with him as a witness to their exchange, but Tsuda threatens their lives as well as Kaoru’s, driving Iwai into a corner. In order to save him, MC asks for Tsuda’s full name in order to change his heart. After Tsuda’s change of heart, the real world Tsuda tells Iwai to forget about everything. Iwai’s deal with MC is over now, but he asks him to keep working at the shop, and gets right to ordering him to take out the trash and dispose of the prototype guns. Kaoru gets kidnapped by Tsuda’s underling, Masa. He threatens Iwai to hand over the customized guns if he doesn’t want Kaoru to learn the truth about his past. Iwai is about to comply, but MC convinces him to reveal the truth to Kaoru. Kaoru accepts everything, saying that regardless of what happened in the past, Iwai is his father. Kaoru visits the shop and thanks MC again. Upon seeing how Kaoru’s disposition has changed, Iwai fully realizes how quickly the child has grown, and that he was getting worked up over nothing. 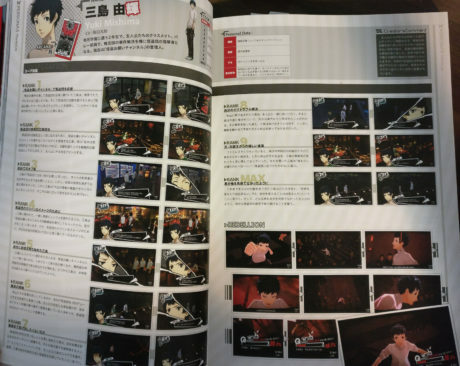 He also suspects that MC is connected to the Phantom Thieves, but chooses to keep it confidential and support him. At Inokashira Park, Iwai suddenly starts commenting strangely on the openness of the park. It turns out that he’s looking for a place where Kaoru can relax. As thanks for introducing him to a good place, he gives MC a swan boat that reminds him of Kaoru’s childhood. Iwai is looking for a high quality all-you-can-eat place to cheer up Kaoru. MC tells him about the buffet he went to with his friends, and they go together to scope it out. Iwai never cared about gourmet stuff before, but lately he’s been enjoying his meals more. Hanging Out (Ikebukuro): Not a Place to Go with an Older Man!? Iwai wants to take Kaoru somewhere fun on a holiday, but his son has a serious personality and doesn’t seem very enthusiastic about it. Him and MC go to scope out the planetarium’s educational merit. Iwai cringes when he finds out that it’s full of couples on dates, but he is impressed by the latest technology. To express his gratitude for the work done, Iwai treats MC to sushi. He is surprised that MC’s recommendation was a high class sushi restaurant in Ginza, but enjoys the sushi nonetheless. It’s a small victory celebration for the freedom he’s won and his strengthened relationship with Kaoru. Strongly seasoned food like mapo tofu, hot pot, etc. She used to be interested in medicinal cooking, but now she just enjoys flavourful food. MC asks Takemi for the “rumoured medicine”, using his entrance exams as an excuse. They strike a deal where in exchange, he must be her test subject. During the medical examination, the police bust in, but realize right away that the report they received was fake. 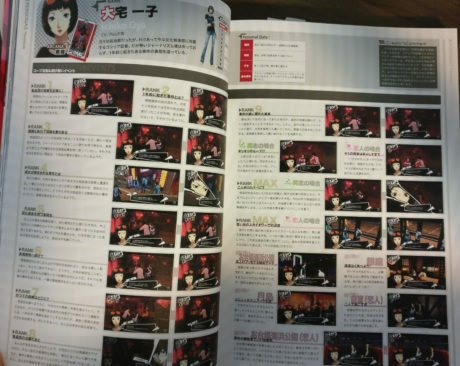 The culprit appears to be Takemi’s former boss. 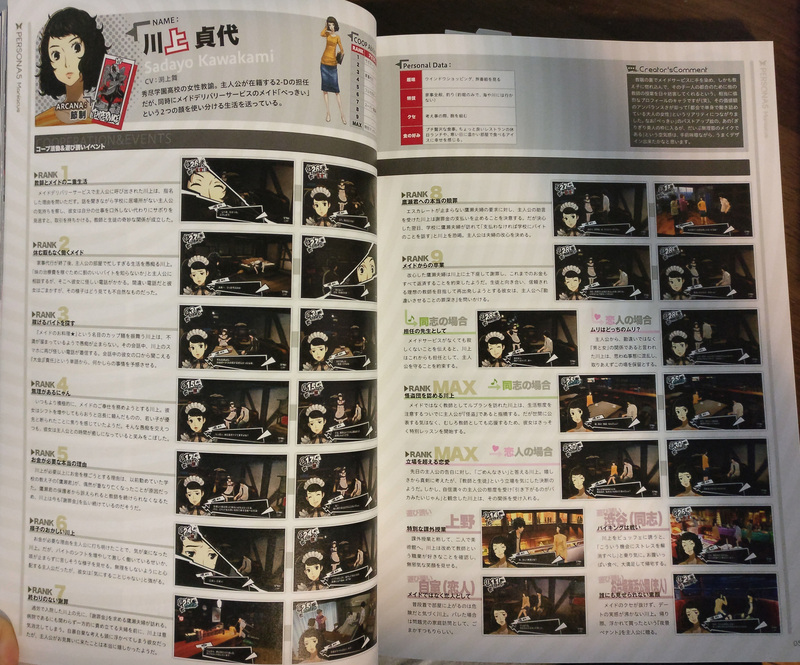 During the clinical trial, Takemi receives a phone call for an emergency request. However, when she introduces herself as Takemi, the caller immediately hangs up. MC is bewildered by what just happened, and Takemi confesses that back when she was working at a university hospital, she made a mistake in a treatment. A desperate father comes to Takemi and asks her to help his daughter. Takemi deduces from her symptoms that she has a rare infection, and quickly administers treatment. The medical bill is very expensive, but upon hearing that the girl’s previous doctor was Ooyamada, her former boss, she tells them it’s free of charge. Takemi is worried about the father and daughter who are still relying on her despite knowing about her past mistake. 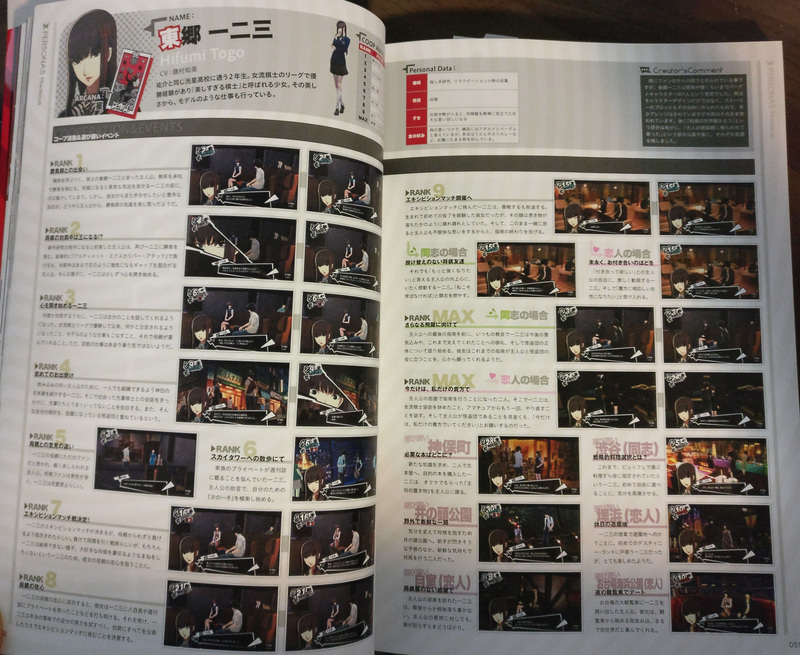 However, the mistake was actually caused by Ooyamada, who stole credit for Takemi’s achievements. The medicine that she is working on now through the clinical trials is a treatment for the incurable disease from that time, which had its research put on hold. Ever since that girl’s treatment, Takemi has been gaining fame as a “doctor that makes incredible medicine.” Sometimes she gets ridiculous requests like “Please examine my cat,” but she looks like she’s enjoying her busy days as a town doctor. Convinced that Takemi has stolen his patient, Ooyamada warns her to quit being a doctor. He also declares that Miwa-chan, the patient that Takemi wanted to save, has died. Takemi is utterly shocked, and MC decides to change Ooyamada’s heart. The change of heart is successful, and by his own confession, all of the suspicions regarding Takemi are proven to be false accusations. She also finds out that Miwa-chan is still alive, and regains her motivation. The two resume the clinical trials in order to save the patients, starting with Miwa-chan, who are suffering from that disease. 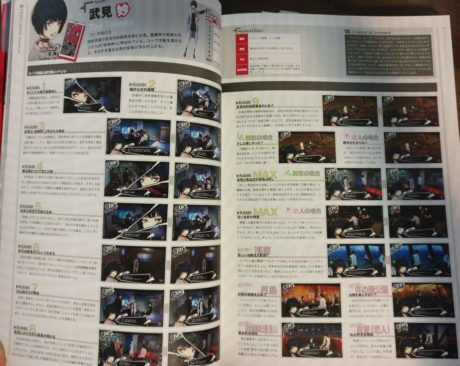 Rank 9: Takemi Medical Clinic’s Final Moments!? The development of the new medicine has reached its final stage, and Takemi entrusts the results of her research to Miwa-chan’s doctor, who was her senior when she was in university. He tries to recruit Takemi for their research team, but she ends up declining. She thanks MC again for sticking with her until the end, and asks him why he cooperated with her. As Friends: A Bit Happy? Takemi understands when MC says it was for his exams. She tells MC he can come over to play anytime, and they go their separate ways. Takemi doesn’t take MC’s confession seriously. She tells him not to make fun of her, but he insists that it’s true, and she finally believes him. With the clinical trials over, Takemi and MC enjoy a relaxing cup of coffee at Leblanc. She thanks him for being her guinea pig, and tells him that she has an even better drug prepared, if he’ll let her use him properly as a boyfriend too. The two spend their “house call” alone together. Hanging Out (Asakusa): An Unusual Clinical Trial that’s More than Welcome? Takemi wants data under a different environment than usual, so MC takes her to the Sky Tower. She gives him tips for clearing ear pressure, and jokingly tells him to strip with a serious look on her face. Her attitude is different from usual, but it looks like she got some good data out of it. Takemi wants to eat junk food, so they go to the monjayaki shop. As thanks for participating in her clinical trials, she grills the monja for you. Hanging Out (Inokashira Park): Clinical Trials Aren’t Easy? MC takes Takemi to the ferris wheel at night. 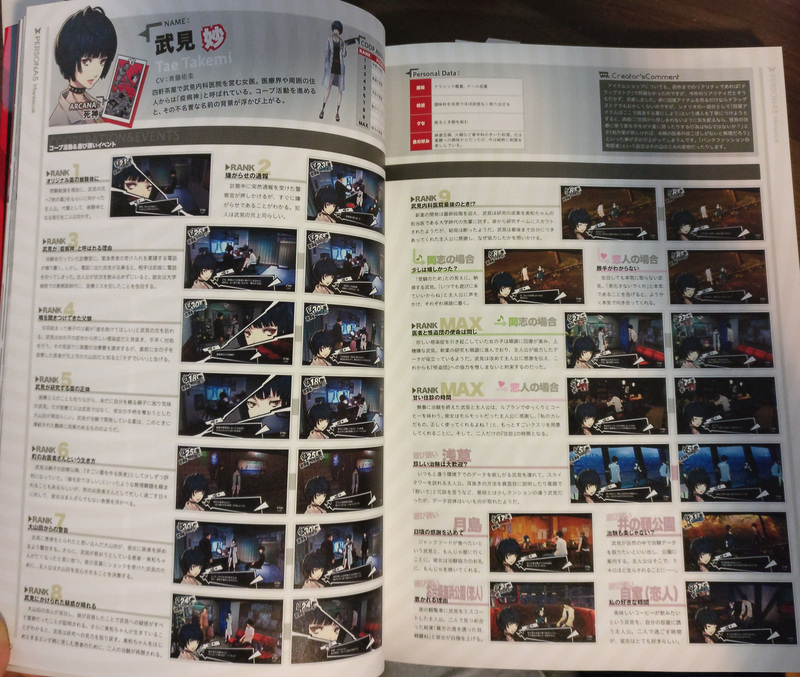 They gaze into each other’s eyes, and Takemi caves first, saying that his clear eyes are pretty. Takemi is in the mood for delicious coffee, so MC invites her to his room. She seems to enjoy their time together a lot. Mildly luxurious food. She likes having lunch at a somewhat fancy place on her days off, and eating ice cream in her warm room on a cold day. Kawakami asks MC why he requested her from the maid delivery service. As he talks, she figures he must feel lonely at school, so proposes a deal where in exchange for not disclosing her second job, she’ll let him skip class. A strange relationship between teacher and student is established. After doing the housekeeping, Kawakami complains about her busy life in MC’s room. She asks MC if he knows about any well-paying part-time jobs she can take to save money for her sister’s medical expenses, but their conversation is interrupted by a suspicious phone call. Kawakami pretends that the caller dialed the wrong number, but she’s obviously stressed about it. Kawakami’s “Maid’s Cooking★” is actually just cup noodles. She seems extremely disgruntled, and the complaints won’t stop. While they talk, she receives another suspicious phone call. During the call MC hears her say the words “large sum” and “responsibility”, leading him to think there’s something going on. Kawakami is providing her maid service more enthusiastically than usual. She’s getting desperate because she asked her boss for more shifts, but was turned down because younger girls have priority. She feels better after venting to MC and manages a smile. The reason why Kawakami needs so much money is because of “Takase-kun”, a student Kawakami taught at her previous school, who passed away due to an unfortunate series of accidents. If Takase-kun’s guardians pressed charges on her, she wouldn’t be able to continue teaching, so she is still paying them compensation money. Kawakami feels better after telling MC the truth. However, perhaps because she’s overworked from taking on more shifts, she seems like she’s in pain, and can’t stop coughing. MC worries about her and tells her to take it easy, but Kawakami brushes him off, saying it’s not something he has to worry about. Kawakami has been hospitalized due to overwork, and the Takase parents visit her, looking for their compensation money. Kawakami is disheartened that they would continue blaming her even in a hospital. She comes up with desperate ideas, but does seem truly happy that MC came to see her. The Takase parents’ demands continue to rise, and Kawakami takes MC’s advice to stop paying them. However, the next day, the Takase parents come to the school to blackmail her, saying that if she doesn’t pay, they’ll tell the school about her part-time job. MC decides to change their hearts. The reformed Takase parents prostrate themselves to Kawakami and promise that they’ll return all of the money she’s given them until now. She returns to her original goal of becoming a perfect teacher that her students will trust in, and then questions MC’s intentions, saying it’s a sin to give someone the wrong idea. MC tells Kawakami that he won’t be lonely even without the maid service, and she promises she’ll look after him as his homeroom teacher. As Lovers: What Do You Mean by That? MC tells Kawakami that she isn’t getting the wrong idea, and that he sees them as man and woman. She is absolutely bewildered by this unexpected situation, and puts it on hold for now. Kawakami comes to Leblanc not as a maid, but as a teacher. She warns MC about his behaviour and also identifies him as a phantom thief. However, she does not plan on revealing it to the world, and instead wants to support him as his teacher. She begins a special lesson right away. Kawakami rejects MC’s confession from the other day. She was happy but when she seriously thought about it, she decided to respect their positions as teacher and student. However, MC’s high confidence has her feeling stupid for pulling back, and in the end she accepts their relationship. The two go to the art museum under the guise of an extracurricular lesson. Kawakami reaffirms her love for teaching with a pure smile. MC invites Kawakami to the buffet, and she takes the opportunity to relieve stress. They eat their fill, and leave satisfied. Kawakami realizes that it’s dangerous to go up to MC’s room in her normal clothes. If she gets caught, she intends to pass it off as a house visit to a troublemaker. Due to her maid habits, Kawakami has a hard time getting into the date mood. As they’re leaving, she happily buys a night view pennant for MC. All alcoholic drinks (especially whiskey on the rocks). Her favourite snacks to go with them are nuts, Lala’s handmade pickles, etc. 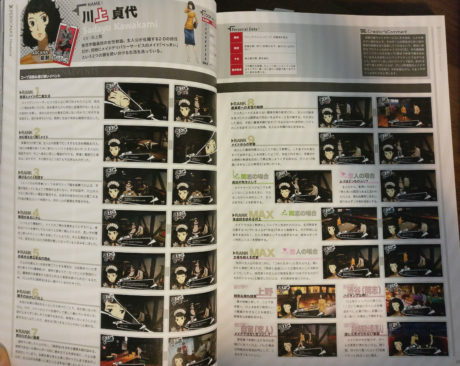 Rank 1: Articles About the Phantom Thieves! 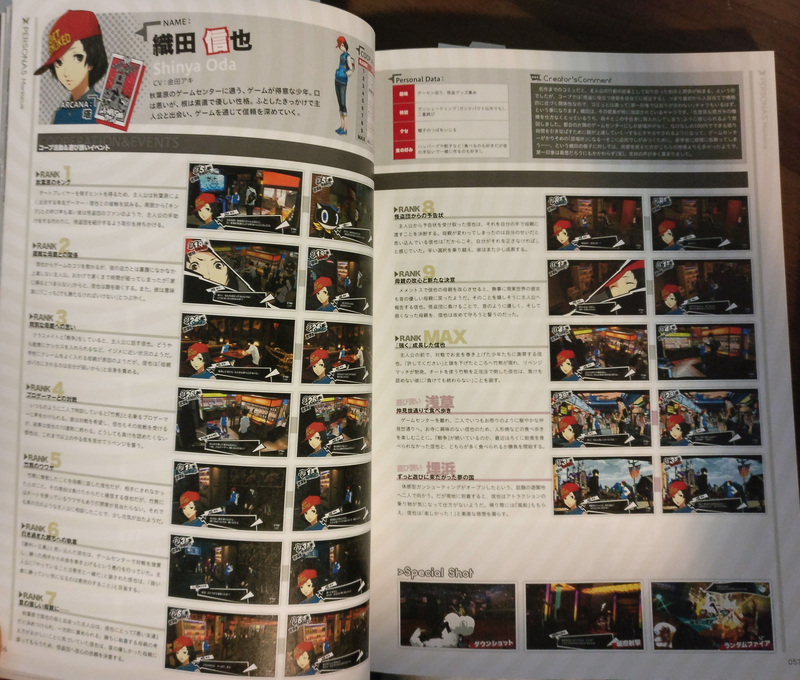 Ooya and MC meet again at the bar in Shinjuku, and they make a deal where she will write articles about the Phantom Thieves in exchange for his information on them. Rank 2: The Incident from a Year Ago? As they’re sharing information, Ooya reveals that up until a year ago, she was an ace political reporter. She was removed from her position because of a certain incident. Ooya is very perceptive, and is able to induce that the Phantom Thieves are minors. She has pride in being a journalist and dislikes entertainment news which prioritizes revenue over the truth. However, she doesn’t leave her company because of the incident one year ago. During their information exchange, they randomly run into one of Ooya’s superiors, the chief of the entertainment department. In order to make it through that situation, MC quickly pretends to be her boyfriend, and she plays along. 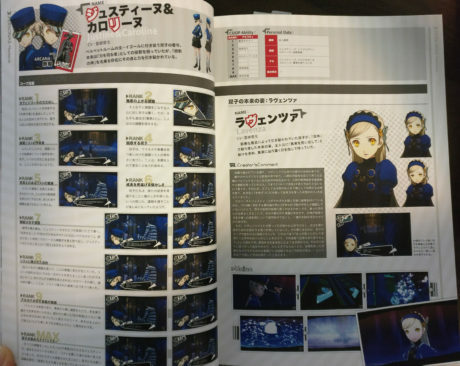 It seems that Ooya has been snooping around an incident unrelated to the Phantom Thieves. Ooya investigates MC’s past and realizes that the two of them are similar. She tells her own story about the incident that her camerawoman partner, Murakami Kayo, got involved in. Kayo was framed and went missing, and to this day Ooya is still working to find proof of her innocence. MC visits Ooya to share information, but she is extremely drunk and can’t talk properly. It seems that her boss raised her work quotas so that she wouldn’t be able to do anything else. Still, in order to pursue her best friend’s incident, she asks for even more intel from MC. Rank 7: Where is Her Friend? While researching the Phantom Thieves, Ooya realizes that she empathizes with their passion. At that moment, she receives a call from someone who has found Kayo’s whereabouts. She wants to follow this lead as soon as possible, but her boss Honjo interferes right after the call. MC decides to change Honjo’s heart in order to help her. Ooya’s quotas are reduced again after Honjo’s change of heart. She also knows Kayo’s location and wants to see her, but is afraid to face the truth. However, MC’s encouragement strengthens her resolve. Ooya makes up her mind to visit Kayo, but the girl is in bad condition and can’t speak well. However, her undying journalist spirit guides Ooya to the truth. Now that she knows who the mastermind is, she steels herself for what will be a very long battle. Ooya asks MC if he was “serious” when he pretended to be her boyfriend that time, and he denies it. She’s relieved but also looks a bit disappointed, and quickly changes the topic. Ooya panics when MC says “I love you, Ichiko.” However, she tells him that she’ll stay with him until he gets tired of her. The good feedback to Ooya’s article about “society’s lesion” that brought forth the Phantom Thieves fuels her journalist spirit. She figured out the Phantom Thieves’ identity from this case, but she lets it pass. She asks for MC’s cooperation in thwarting the evils of society, and the two vow to expose wrongdoings. Since they pretended to be a couple in front of Ooya’s boss, they go on a fake date. They didn’t really get into the mood, but the goal was accomplished. Hanging Out (Ginza): Eat All You Want! Ooya is in a good mood from getting her bonus, so she treats MC to sushi. On their way out, she gives him a sushi teacup as a present! The two go to a monjayaki shop that Ooya recommends. They eat various unique monjayaki like cake monja and mackerel monja. Ooya says she wants to see how messy MC’s room is. Regardless of the pretense, the two share a peaceful night together, talking about silly things. Ooya and MC enjoy the nighttime view from the ferris wheel in Odaiba. At first she complains like a kid would, but after a while she seems happy because the cliches feel unexpectedly fresh at her age. She asks MC if he’s really okay with her when there’s so many cute younger girls out there, but he responds in a very mature way. In order to find a way to beat the cheating player, MC reaches out to Shinya, a famous gamer in Akihabara. The other players call him the “King”, and he seems to be a fan of the Phantom Thieves. MC offers to introduce him to the Phantom Thieves in exchange for helping him out. Shinya teaches MC his tricks, but MC can’t pull them off as well. Because of that they end up staying quite late, but Shinya’s face looks grim, and he doesn’t want to go home. He mumbles that he needs to win “here” as well. MC talks to Shinya about his “war” with his classmates, and finds out that they are bullying him by doing things like putting eraser shavings in his lunches. The cause is his mother who often complains to the school, but Shinya blames himself, believing that the reason they make fun of his mother is because of his own weakness. During their usual training, a pro gamer named Takekuma approaches Shinya, seeking a battle. Shinya accepts his challenge but loses 10 times in a row. He is unable to accept his defeat, and swears to get his revenge. Shinya told his mother about his crushing loss to Takekuma, but she doesn’t take his side. Shinya assumes it’s because he lost, but there are rumours that Takekuma is using cheats, and he can’t find a way to beat him. However, he cheers up a bit after asking for advice from MC, who he sees as an older brother figure. 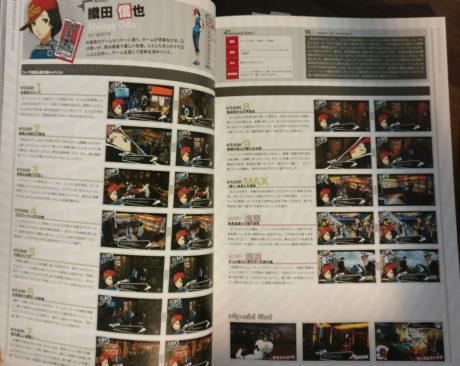 Shinya is convinced that winning is justice, and is forcing people to fight him at the arcade and then taking their money when they lose. MC admonishes him, saying that his actions are no different from a villain’s. Shinya repents, learning that only bad people would feel happy beating up the weak. MC meets Shinya’s mother in Akihabara, who accuses him of being a bad influence. Shinya now realizes that his mother’s obsession with winning is unusual, and decides to ask the Phantom Thieves to change her heart, so that she will go back to the kind mother she used to be. Shinya receives a calling card from MC, and resolves to give it to his mother directly. He feels that it’s his own fault that his mother changed, so he has to take responsibility for fixing this situation. Making this difficult decision has helped him to grow up a bit. After going to Mementos and triggering the change of heart in Shinya’s mother, in the real world she has returned to her previous kind disposition. Shinya happily reports to MC that she’s become nicer after losing to the Phantom Thieves, and promises to protect her now that she’s weaker. Shinya apologizes to the kids who he took money from. While he is asking for their forgiveness, Takekuma shows up and they have a rematch. Shinya beats the cheating Takekuma fair and square. Takekuma can’t accept his defeat, but Shinya scolds him, telling him that losing doesn’t mean it’s all over. The two leave the arcade and go to the bustling and festive Nakamise street. Shinya has no interest in the temple, so they just walk around and enjoy food like ningyou-yaki. Perhaps because the “war” is still going, Shinya hasn’t been eating well lately, and the two have a competition to see who can eat more. The two visit the famous amusement park to see the newly opened immersive shooting game. However, upon arriving, Shinya gets hopelessly distracted by all of the attractions. On the way back, he gives you a set of balloons, and says he had a lot of fun. Under her mother’s orders, in magazine interviews she says avocados and bagels, but she actually prefers filling foods like udon or katsu curry. MC meets with the shogi player Tougou Hifumi in hopes to learn fighting tactics from her. He recklessly challenges her to a match and she wipes the floor with him, showing an unusual amount of passion during the match. However, she unexpectedly asks him to play again with her sometime. MC manages to get a sense for her fighting spirit. Rank 2: Becoming a King During the Match!? Having promised to be her opponent while she practices new moves, MC challenges Hifumi again. He loses to her “Ultimate Excalibur Attack”, but is amused at how differently she acts during shogi matches – overly confident like a king. Hifumi slowly opens up to him. After countless matches, Hifumi starts talking about herself. She won the women’s shogi league championship, which led to media attention and modelling work, much to the delight of her mother. However, she doesn’t seem too enthusiastic about celebrity work. Since MC is a fast learner, Hifumi takes him to a used bookstore in Kanda where he’ll be able to improve a lot on his own. She runs into a veteran shogi player there, and confesses to MC that she doesn’t get along well with her seniors. She also feels that her situation is similar to the Phantom Thieves’ newfound popularity. Hifumi’s mother looks down on MC, thinking that he is just a fan. Hifumi is apparently forbidden from being in a relationship because there are a lot of male shogi fans. Rank 7: Exhibition Match Confirmed! Hifumi has an exhibition match coming up, but her mother apparently instructed her to lose on purpose. Her strategy is to garner sympathy by losing, but of course Hifumi cannot accept this. MC decides to change her mother’s heart, so that Hifumi will not have to betray her beloved game. The change of heart is a success, and Hifumi’s mother admits that she had fixed the matches and sold their information to the magazine. Upon finding out, Hifumi realizes that she must truly test her own abilities, publicly reveals the whole truth, and decides to face the exhibition match for real. At the exhibition match, Hifumi puts up a good fight but is ultimately defeated. It was the first time in her entire life she’d had to forfeit, but her face was bright and cheerful, as though she’d been freed from an evil spirit. She also doesn’t want to cause MC any more discomfort, so she decides to end her coaching. Hifumi is incredibly moved by MC’s desire to get even better. Her fighting spirit is fueled as well. Hifumi is very surprised by MC’s confession. She also accepts, saying that she wants to become a woman fitting of him. 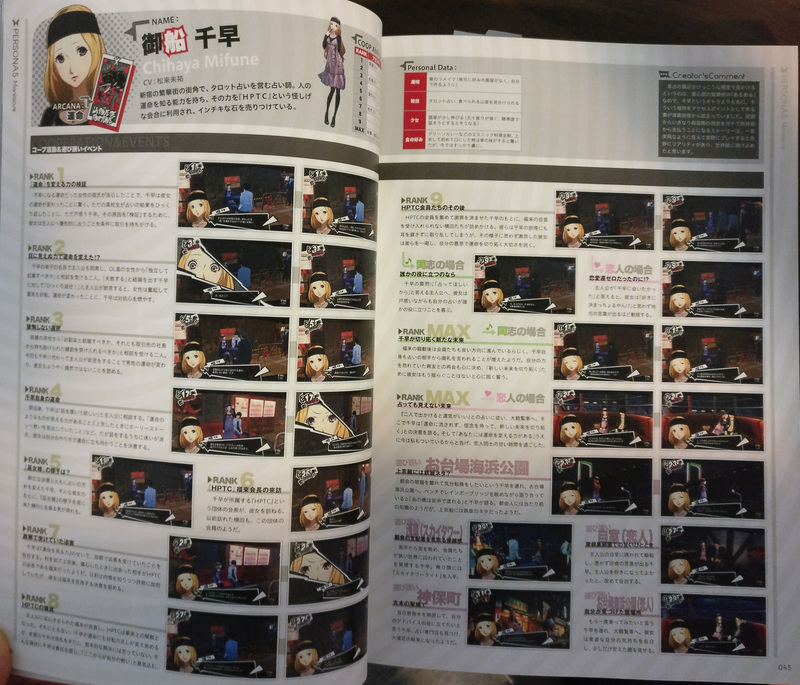 At the usual church before MC’s final lesson, Hifumi talks about her motivations for the future, her gratitude for his support until now, and the identity of the Phantom Thieves. She hopes that her coaching has been of use to the Phantom Thieves. The two are practicing shogi in MC’s room. Hifumi says that she quit the women’s shogi league and plans on starting over from scratch as an amateur. She also figured out that MC belongs to the Phantom Thieves, and requests that he belong to only her during their time together. Hanging Out (Jinbochou): Where Is the Book She Needs? The two go to the used bookstore in search of new knowledge. Hifumi buys the book she was looking for, and receives a bonus “king” shogi piece, which she gives to MC. The pair go to Inokashira Park for their shogi match as a change of pace. 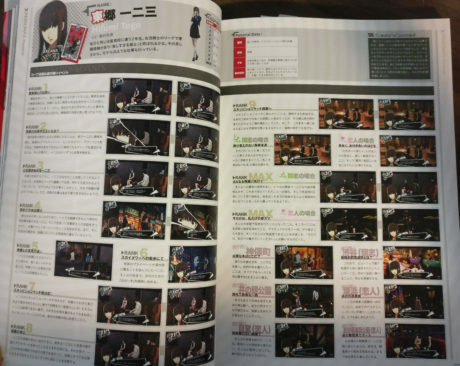 Hifumi feels like she’ll be able to come up with a new move, and the two have a refreshing match. Friend Zone (Shibuya): Strategic Food Choices? Up until now, even Hifumi’s food choices at buffets were dictated by her mother, so she is excited to be picking for herself for the first time. At Hifumi’s suggestion, they go to the amusement park. She is nervous because she’s never been to Destinyland before, but she has a lot of fun. Hifumi visits MC’s room, and due to nervousness she can’t relax at all. Even when MC asks her something, she has a hard time processing it. MC invites Hifumi to the big ferris wheel in Odaiba. She is delighted at the view of the streets from atop the ferris wheel, which looks like a whole other world. Like any boy his age, he’ll eat anything, including parsley in sandwiches (he doesn’t like it, but can’t stand seeing it leftover). After the Kamoshida incident, Mishima suspects that MC is part of the Phantom Thieves, and approaches him in the classroom. 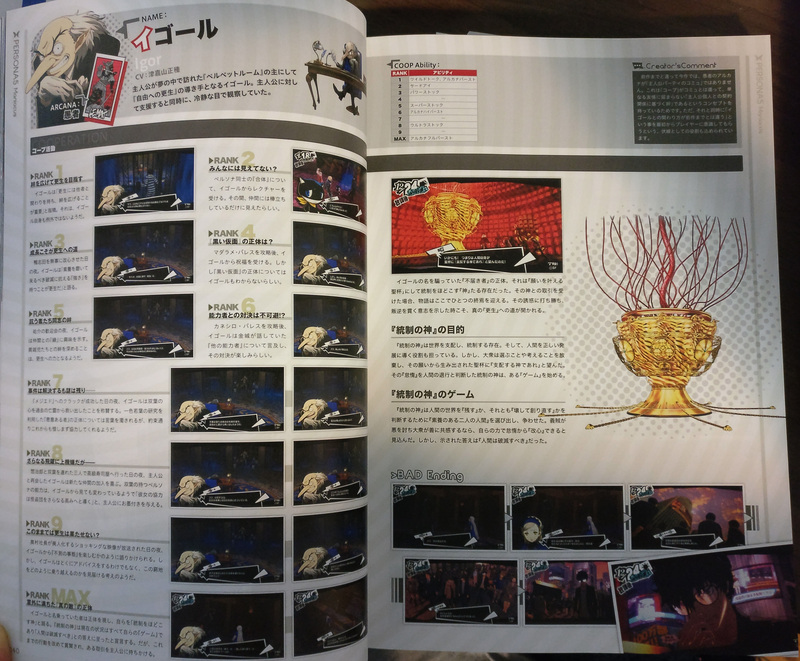 He explains that in order to help out the Phantom Thieves, he’s created a “Phantom Aficionado Website”, and wants to fill it with supporters. 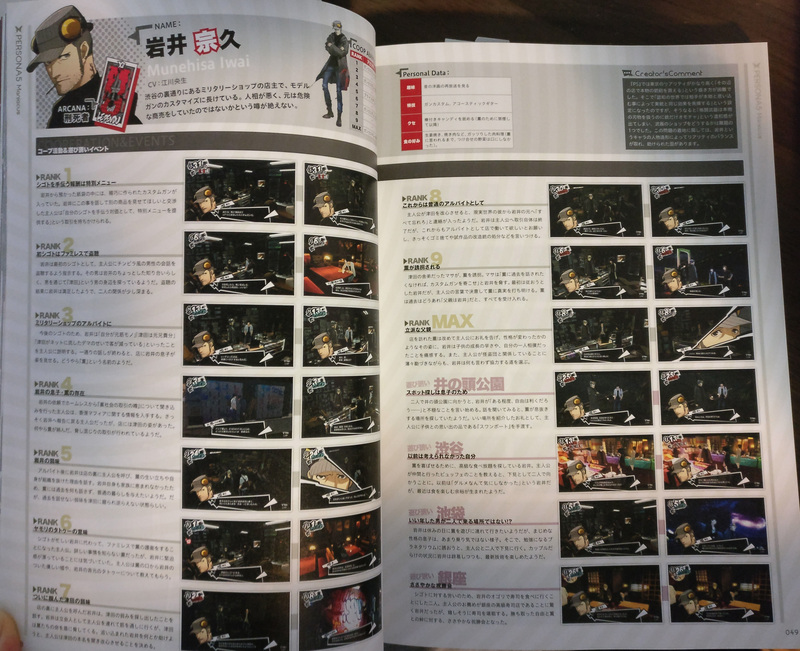 In order to make sure that the Phantom Thieves’ actions are being conveyed to the world properly, Mishima spends so much time moderating the Phan-Site that he’s losing sleep because of it. He expresses his determination to MC, saying that he can’t join in on the Phantom Thieves’ activities, but he can hype them up as a PR representative. 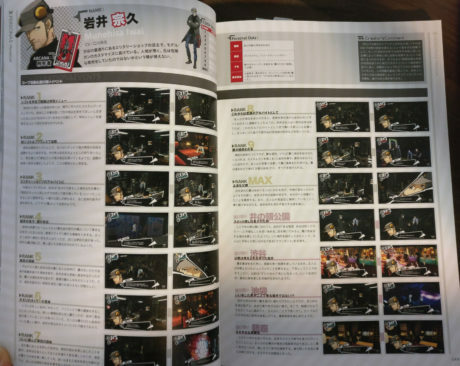 Mishima proclaims that the Phantom Thieves need some feminine presence, so he organizes a meet-up with the female users of the site. However, no one shows up at the appointed time. This time was a failure, but instead of being discouraged, he says that next time he’ll prove his worth. Mishima invites MC to an expensive buffet. He says that he’ll cover the bill, since he raised donations for the Phantom Thieves’ activities. 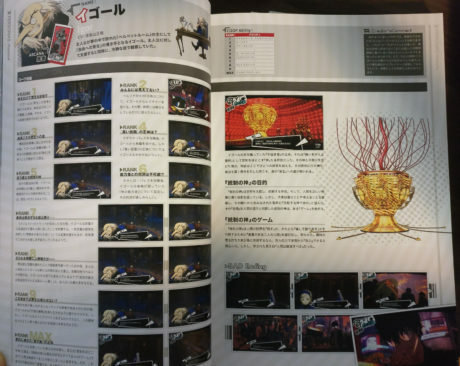 However, for the sake of keeping the Phantom Thieves’ image clean, he rethinks it and decides that the money shouldn’t be used inappropriately like this. Mishima invites MC to a restaurant, where he speaks passionately about the Phan-Site. While he’s rambling on endlessly, his former classmates from middle school show up, one of whom is named Akiyama. It seems like they bullied him a lot back in middle school. Akiyama’s words weighing down on him, Mishima is furious, calling himself the Phantom Thieves’ producer. 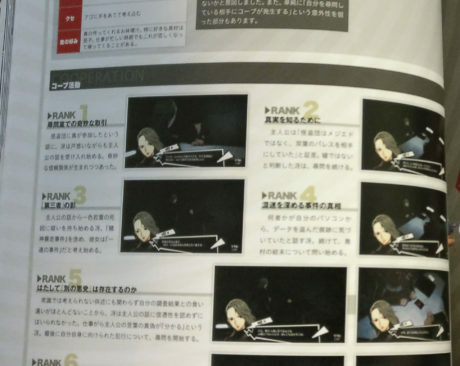 He ignores MC’s warnings, decides by himself that a certain young, handsome actor is doing shady things behind the scenes, and designates him as the Phantom Thieves’ next target. 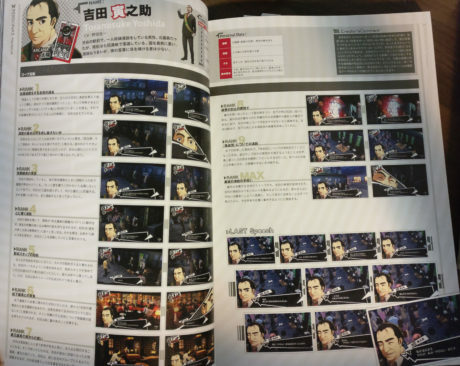 Mishima has started threatening people who don’t believe in the Phantom Thieves, and designates Akiyama as the next target because of his bullying. 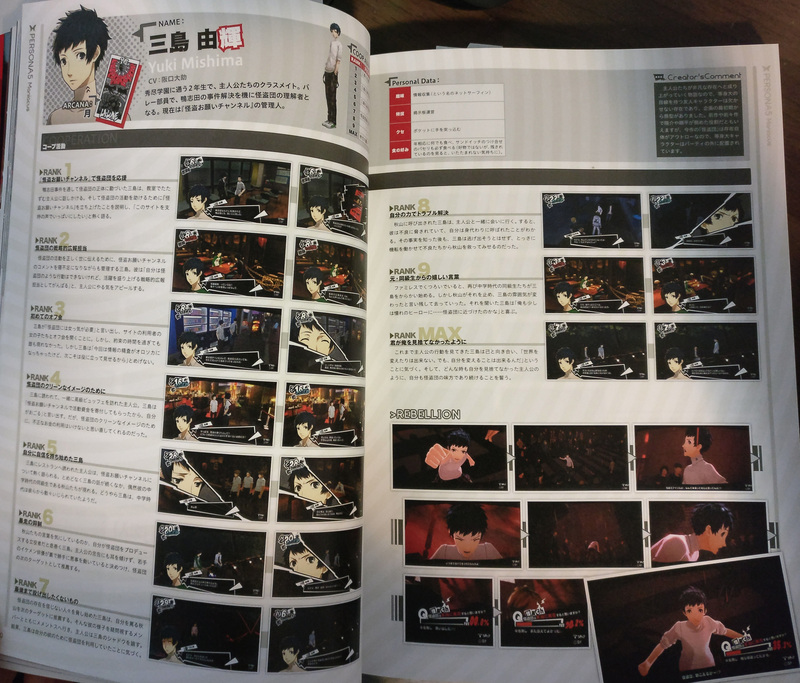 The Phantom Thieves doubt Mishima’s state of mind, and go to Mementos to confront his shadow. There, they find out that Mishima has been using the Phantom Thieves for his own desires. Mishima gets called out by Akiyama, and goes with MC to see him. There, he gets threatened by thugs who call him Akiyama’s substitute. Even after finding out, instead of running away, he uses his quick wits to save Akiyama. While they are relaxing at the family restaurant, Mishima’s old middle school classmates show up and begin harassing him again. 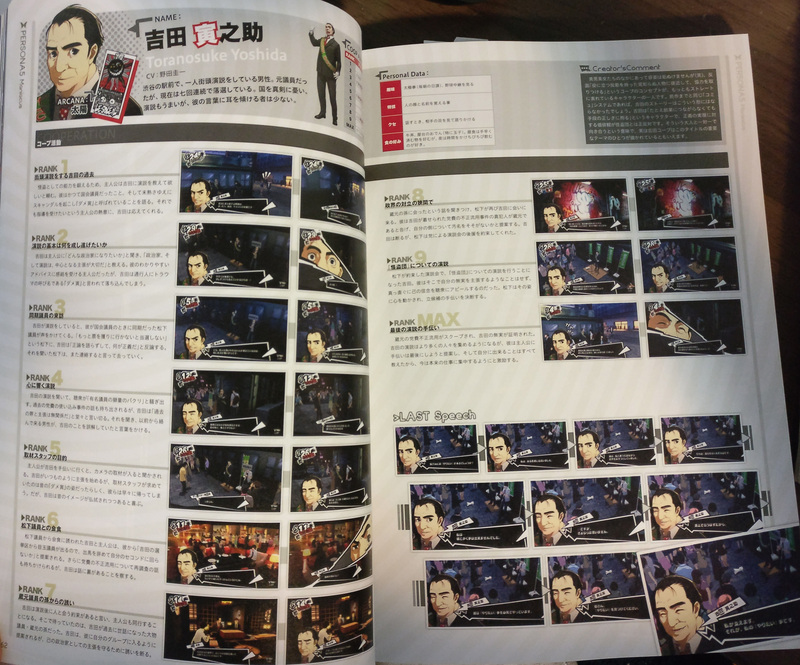 But this time, Akiyama stops them, says that Mishima has changed, and leaves. Mishima is delighted, wondering if he might’ve gotten a bit closer to his heroic role models, the Phantom Thieves. After watching all that MC has accomplished, Mishima reflects on himself, realizing that he can’t change the world, but he can change himself. And just as MC never abandoned Mishima no matter what happened, he also promises to be the Phantom Thieves’ ally no matter what. Beef bowls, oden from food carts (especially with egg). He prefers quick meals for lunch, but in the evenings he likes to take his time while drinking. In order to improve his skills as a phantom thief, MC asks Yoshida to teach him how to give speeches. He learns that he was once a Diet member, but his inexperience led to a scandal, resulting in him being called No-Good Tora. MC says he still wants to receive his guidance regardless, and Yoshida agrees. Yoshida asks MC what kind of politician he wants to become, and teaches him that for a politician and speeches, what’s most important is the core assertion that you are making. His easy-to-understand advice leaves a deep impression on MC, but a passerby calls out his traumatic nickname “No-Good Tora” and his mood sinks. During Yoshida’s speech, Diet member Matsushita, who was his colleague back when he was a Diet member, calls out to him, saying that if he doesn’t try to win over more votes, he’s not going to get elected. Yoshida rebuts, asking what justice there could be without sound arguments. Matsushita says he’ll get in touch with him again, and leaves. After hearing Yoshida’s speech, the audience begins to cause a fuss, saying that he’s copying the famous politician Shidou. 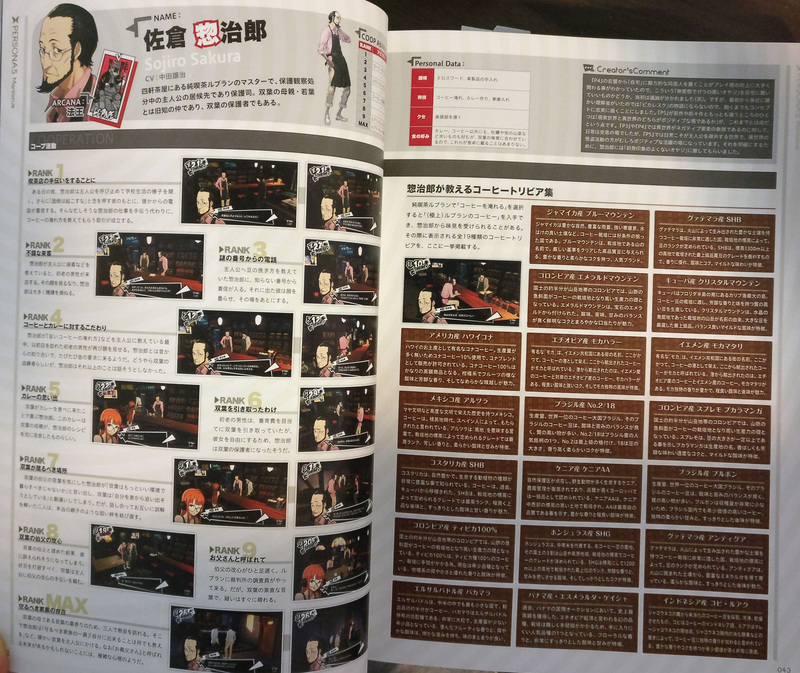 The topic of his embezzlement incident in the past also comes up, but Yoshida declares that his past sins have nothing to do with his current arguments. Upon hearing that, a man that used to pick fights with him apologizes, saying that he’d misjudged him. While MC is helping Yoshida, a cameraman from the media comes over to listen. Yoshida begins his usual speech, but what the media staff were looking for was the old “No-Good Tora”, so they leave right away. However, Yoshida is glad that his past image has been wiped away. Diet member Matsushita invites Yoshida and MC for a meal, and tells them that one of their main candidates will be running for Yoshida’s electoral district. He proposes for Yoshida to quit his campaign and become his second-in-command, and offers to have Yoshida’s embezzlement case re-investigated, but Yoshida surmises that the man has an ulterior motive. Yoshida says that he has an appointment with someone after his speech, and brings MC with him. There, they meet the grandson of Kuramoto, an influential Diet member who took care of Yoshida in the past. The grandson invites Yoshida to join their group, but Yoshida declines his offer, because he wants to protect his political goals. Upon hearing that Yoshida met with Kuramoto’s grandson, Matsushita approaches him again. He tells Yoshida that the real culprit of the embezzlement case was Kuramoto, and proposes again for him to join his side and clear his name. Yoshida declines, but Matsushita promises that his party will support his speech meeting. At the speech meeting that Matsushita promised, Yoshida gives a speech on the Phantom Thieves. Instead of proclaiming his own innocence, he speaks honestly about his beliefs to the audience. Matsushita is moved by this, and decides to help him with his candidacy. The media finds out about Kuramoto’s embezzlement, and Yoshida is declared innocent. More and more people have been coming to his speeches, but he proposes that this be the last time MC helps him, because he has already taught him everything he knows. He encourages MC to focus on his original task. The miso soup that Makoto makes for her. Her favourite ingredient is eggplant. Sometimes even when she’s really busy at work, she’ll go home because she’s craving it. Upon hearing that Makoto was a member of the Phantom Thieves, Sae is bewildered and begins to accept MC’s story. A strange trust is formed between the two. MC testifies that the Phantom Thieves targeted Futaba’s palace instead of Medjed. Sae judges that he is not lying, and continues the interrogation. From MC’s story, Sae begins to doubt Isshiki Wakaba’s cause of death. She thinks that it may be part of the series of mental shutdowns. 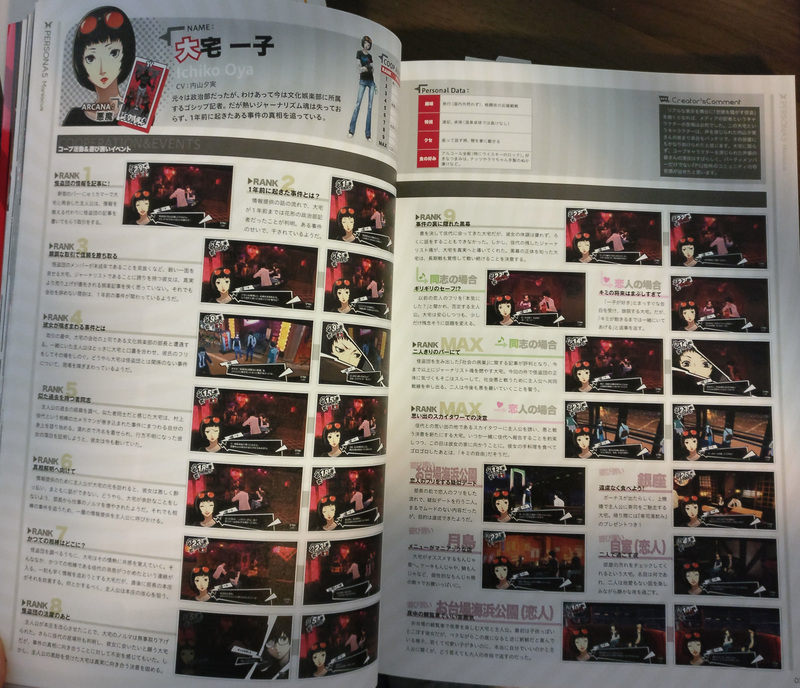 Sae talks about how she noticed traces of someone stealing data from her laptop. Next, she questions MC about Okumura’s untimely end. Despite MC’s testimony defying all common sense, there are no discrepancies with her investigation, so she doesn’t deny its credibility. Due to her work, she is able to determine whether his words are truth or lies. Finally, she interrogates him on the crime they committed on her own self. Rank 6: Which Side is True Justice? After hearing about the Phantom Thieves’ motive for targeting her and Akechi’s participation in the search, Sae determines that MC is not lying. She feels vexed, but accepts that part of the truth is there. However, the core mystery has not been solved yet. Who is the traitor? The interrogation continues. Sae uses a lighter sentence as bait to find out who MC’s co-conspirators were, but he keeps his mouth shut. There is much more that she wants to know, but their time limit is drawing near. At that moment, a certain memory returns to MC’s head – their secret plan to outwit the traitor and recover from the brink of death. The outcome all depends on whether he was able to gain Sae’s trust.